As many of us know, what you plant in our community is very different from what you have in your gardens 'up north'. We hope the following selection of guidelines will help you when planning your very own desert garden. Want to save on water and have plants that thrive in our desert environment? CLICK HERE to view a Low Water Usage Plants Guide. Planning ahead and avoiding invasive plants to Arizona can save you time and backache later! CLICK HERE to view Invasive Plants to Arizona. What if I want some shade - what are the best trees to plant? CLICK HERE to view a Guide to Arizona Desert Shade Trees. And, finally, what are the type of plants that will thrive in our desert environment? Here's a list of just a few, some 400, with their scientific names too. CLICK HERE for a Selection of Landscape Plants for the Southwest. For even more help: The Green Valley Garden Club is here to help. For more details go to: http://www.greenvalleygardeners.com. Their mission is to promote gardening education and related environmental issues to its membership and the gardening public through educational and charitable means. Annual Membership is $25.00 single and $35.00 per household. The Desert USA website also has a list of places to go in Arizona and other nearby desert areas. Please Remember - if you are making any significant changes to your garden areas, please contact anyone on the architecture committee, they are here to help and will approve your plans. 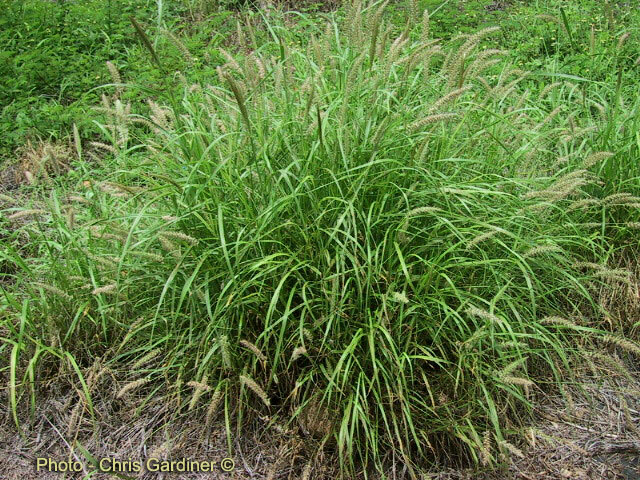 We all need to be aware of the danger of Buffel grass in our subdivision. It is a safety issue because it burns hot (1600 degrees) and when it burns, it will return but native plants will not. In addition,it spreads quickly. It competes with native plants for nutrients and will choke them out. We already have an extensive infestation of Buffel grass in DH3. The board has agreed that we will request our landscaping contractors to remove plants from common areas. However we need your help too. Please remove plans wherever you see them, in your yard or a common area near you.